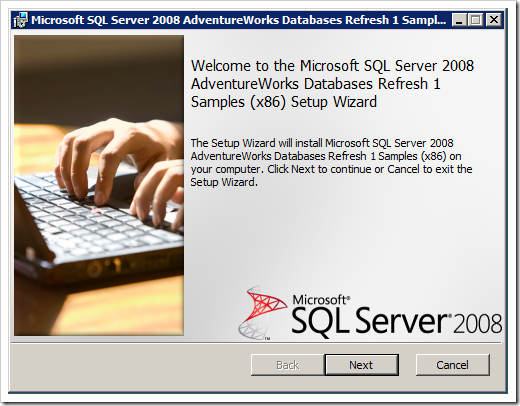 Install the AdventureWorks 2008 Sample Databases 1. 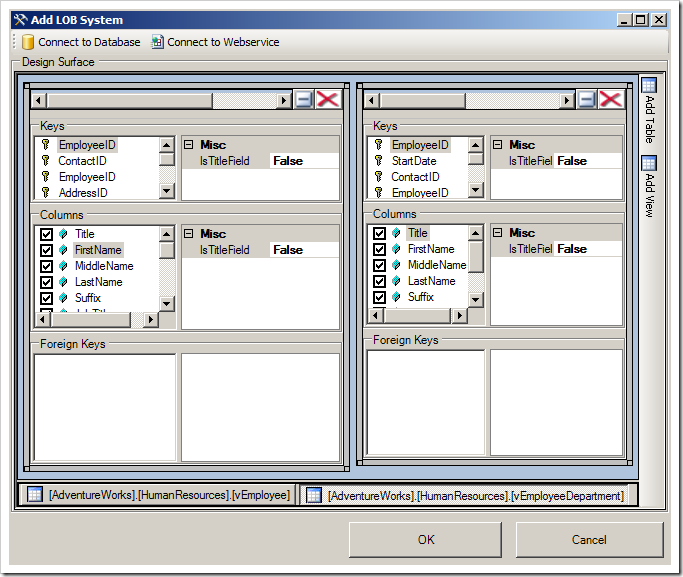 We will use this database as our example for retrieving data using the BDC. 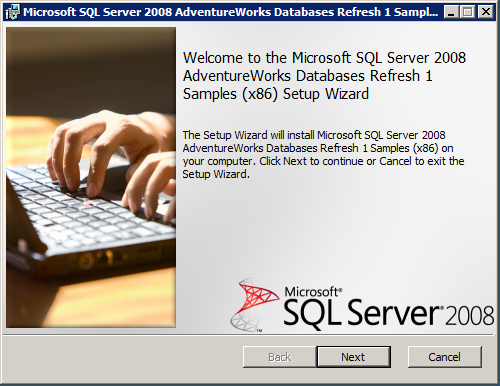 Just finish the installation by clicking next a couple of times and let the installer do it’s normal Microsoft-installer magic. 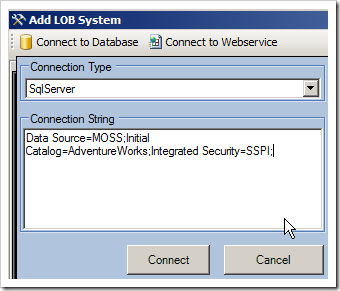 Alright – We’ve got our databases, now we need to start thinking about how we will get data from our SQL server into SharePoint. 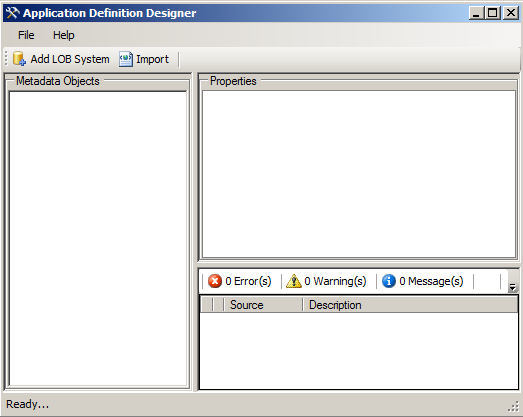 This is done by creating/generating an Application Definition File (ADF) as you will see in the next section. 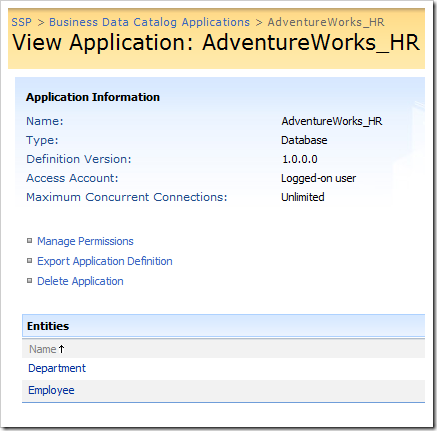 Alright, there’s a few different options to create your ADF (Application Definition File). 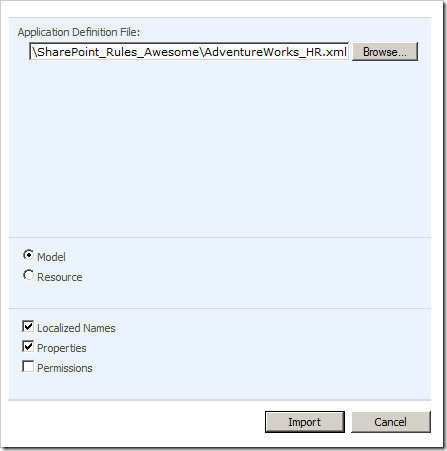 I will show you how to get started with using the free tool called "Application Definition Editor" that comes with the latest SharePoint Server SDK. Note: See the bottom section in this article for a summary of links to all resources mentioned in the article. 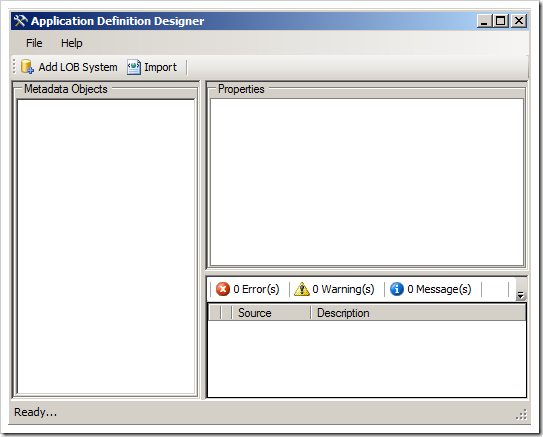 There’s basically two alternatives when it comes to editing an ADF (Application Definition File). One is to create a new one (which I will guide you through first), and the other is to import an existing one (which I will show you after the first alternative). 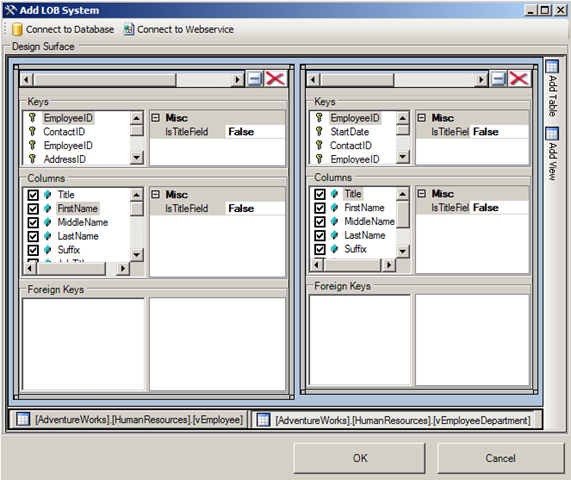 Now we’re going to connect to our newly created sample-databases and create an ADF file for use with those databases. 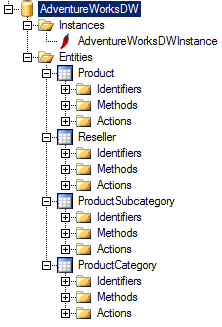 After you’ve done the necessary changes to your configuration, making sure it’s a valid ADF with proper filters, enumerators and methods or whatever you need in your application then smile, because we’re done with that part! 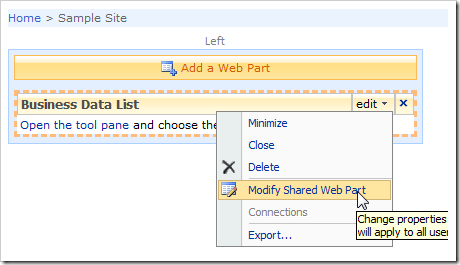 Browse to your existing ADF file and choose to import it. Simple as that. 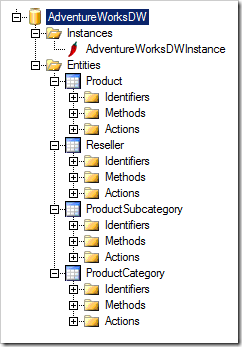 I may cover the topic of ADF-functionality in another article later on. If we have gotten this far, we might as well get the last few bits in place. 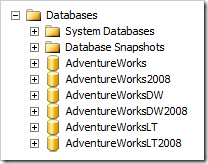 What we now need to do is to import our ADF file into SharePoint, since that’s where it should reside. 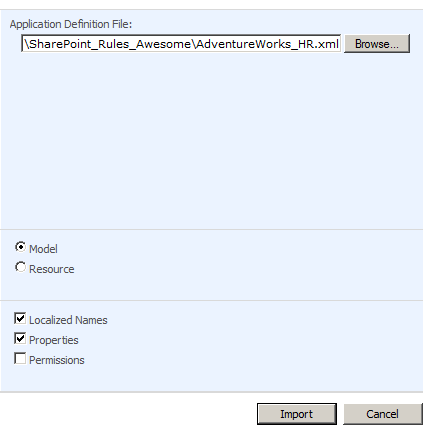 Follow along with these few simple steps to make sure you’re properly importing your file into SharePoint. 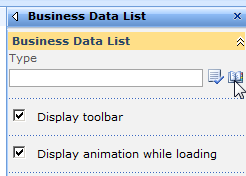 You are presented with a section called "Business Data Catalog" where you’ll find a bunch of different alternatives. 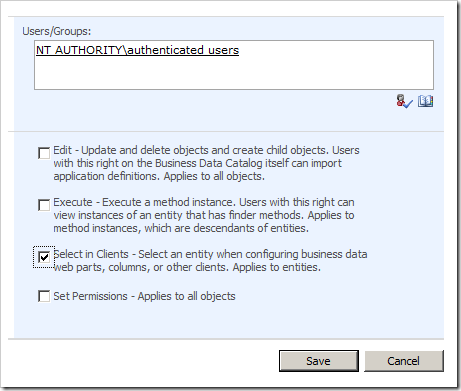 In order for all users to be able to select/read data from your BDC Application, you’ll need to make sure they’ve got the appropriate permissions to actually do so. 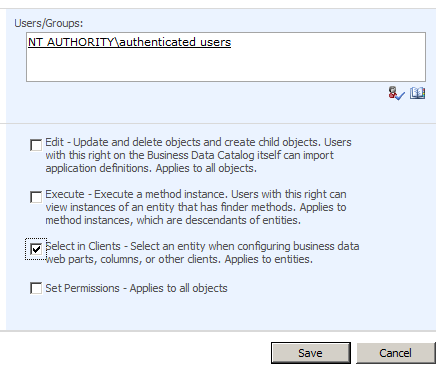 Usually I do this setting on each of the imported entities, in case you want specific permissions on different entities – instead of on the entire application. Repeat these steps for the other entity as well. 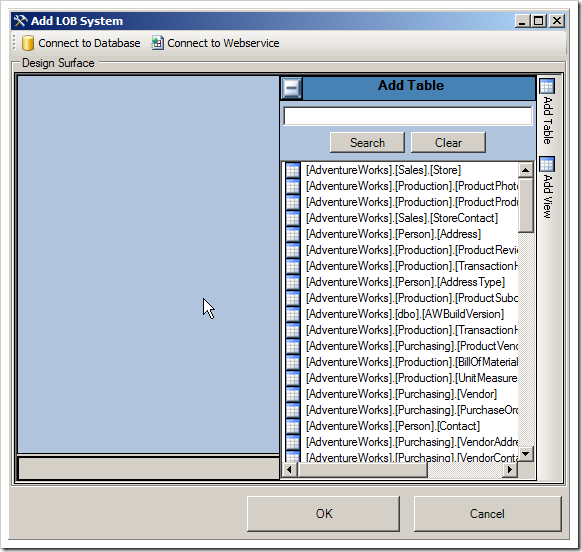 Now we have created or imported an ADF file with the Business Data Catalog Definition Editor tool, exported it to an .xml file, imported it into SharePoint, set basic permissions on the entities. 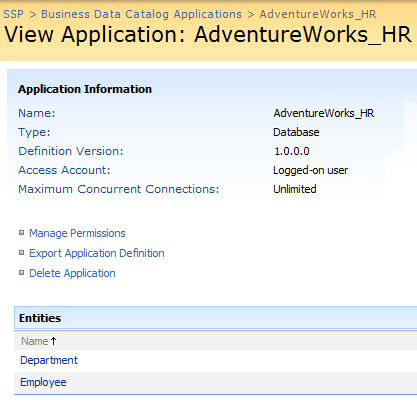 Next, we should make sure that the application works in SharePoint by adding a Business Data Catalog-WebPart to a page. Awesome. 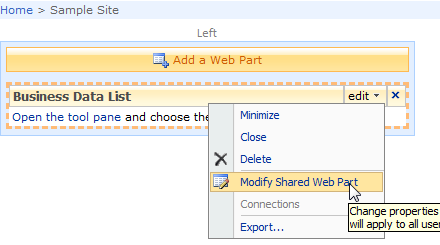 Now that we have gotten this far by importing an ADF file into SharePoint and set appropriate permissions on the entities – We’re ready to actually use the ADF connection to view stuff in our database. Note: I have created a new blank site where I can easily show the built-in BDC Web Parts – so that’s where I am adding my Web Parts. 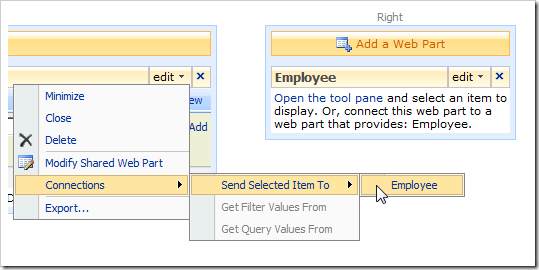 Double click the "Employee" type, and then click "OK" in your Web Part property window. 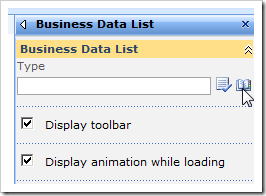 Repeat this process for the "Business Data Item" Web Part, and select "Employee" in the BDC Type Picker as well. 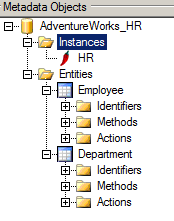 Now we’ve got one BDC List Web Part which will list all employees, and one BDC Item Web Part that will display details about the employee we select. In order for this to work we must connect the two Web Parts. Test our BDC Application out, and make sure it works! 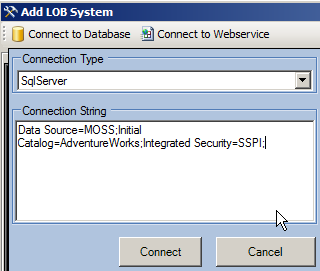 This article is a basic step-by-step guide to getting started with BDC in MOSS 2007. 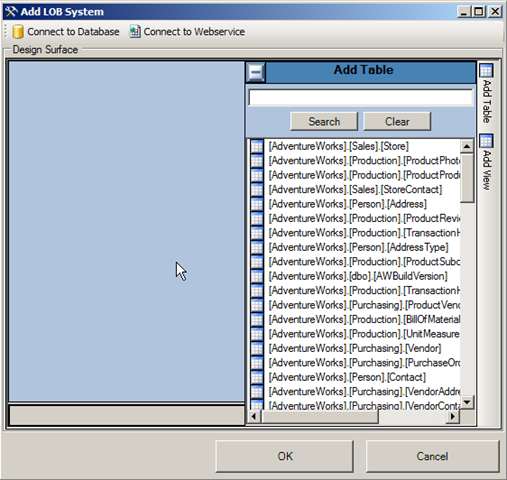 I’ve shown you every step from creating the databases required (in our case some sample databases) to creating the ADF file and to finally utilize the BDC connection from a site, using the BDC Web Parts. 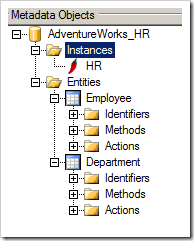 In an upcoming post I will talk about how you can create your own BDC Web Parts! Keep your eyes open!